White Wolf : A Sea lion escapes from a German circus, searching for the sea. 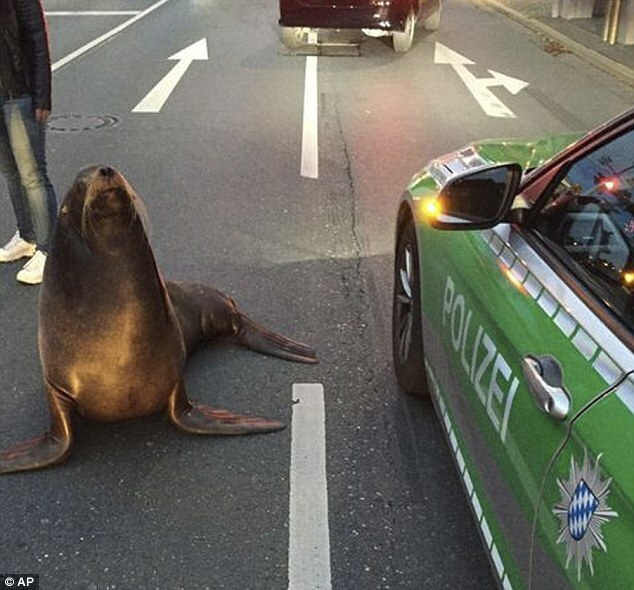 A Sea lion escapes from a German circus, searching for the sea. 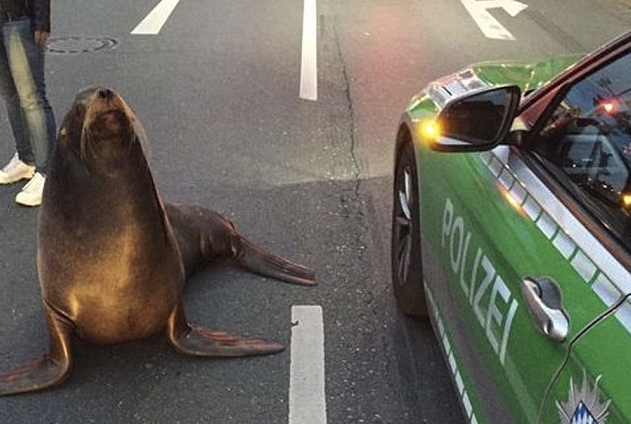 A sea lion was stopped by police after it escaped from the circus and brought traffic to a standstill in a German town. 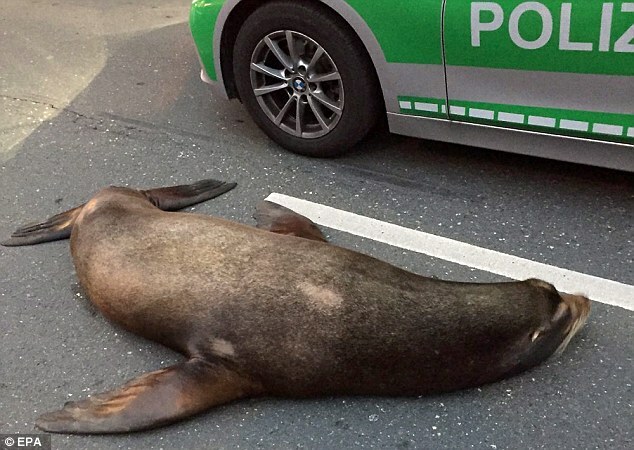 The runaway mammal, called Charly, was pictured waddling through the rush hour traffic in Coburg, east of Frankfurt, on Monday. He had escaped from his enclosure in a circus in Coburg before breakfast - despite usually being first in line for the fish feeding. Bemused locals called police after they spotted him making his way through a busy crossing. Charly was stopped by officers and pictured lying on the road next to a police car after the adventure became too much for him. He was captured with the help of his keeper and later taken back to the circus. There are seven species of sea lions and they can be found in bodies of water all over the world, except the northern Atlantic Ocean. They are intelligent animals and can be taught to perform many of their natural behaviours on cue. Responses to "A Sea lion escapes from a German circus, searching for the sea."